PINEHURST, NC (July 22, 2017) - Australian Karl Vilips has won the biggest title of his burgeoning career. Vilips, still just 15, hoisted the same Southern Amateur Championship trophy lifted by the legendary Bobby Jones for the first of three times a century ago. But more impressive than the illustrious names that adorn the silverware was the manner in which Vilips outplayed his older rivals, some of whom are college graduates, on the testing Dogwood layout of the Country Club of North Carolina. The young Victorian carved out a superb five-under-par 67 amid the pressure of the final round, winning by a stroke from Stoney Crouch, who's about to start his senior year at Tennessee's Lipscomb University. The duo had cleared out from the field through an enthralling final round, but Vilips belied his tender years to win his first major open-age title in the United States. Crouch had looked ominous with a birdie-eagle-birdie run around the turn to seize the outright lead. "When we got to No. 18, I wasn't sure where I stood and my caddie looked at the leaderboard on his phone and said I was one back," said Crouch, who also made a run at the Trans-Miss Am earlier this month. "I hit the par 5 in two but left my first putt 15 feet short and missed that for a chance to tie." Vilips, based in Florida, was equal to the challenge. The Cam McCormick-coached prodigy made outstanding birdies on the 12th, 14th and 15th holes to regain the lead he'd shared through rounds one and two, then held on in a tense finish as the birdies dried up for both players. Vilips' rounds of 65-68-73-67 were good for a 15-under total and his final round was comfortably the day's best. Three players tied for third, four shots behind the winner. Lloyd Jefferson Go from the Philippines, one of the hotter golfers on the American summer amateur circuit having rcently won the Dogwood Invitational in Atlanta, began the day tied with Crouch for the lead but could only manage a 72. Andrew Alligood and Zachary Bauchou both shot 71s to finish in the tie with Go. Jimmy Stanger, the defending champion, finished tied for 37th at one over 289. Vilips' victory will go a long way to making him a near automatic selection for the inaugural Junior Presidents Cup in late September in New Jersey. Vilips is expected to attend the Golf Australia national camp in Houston this week. 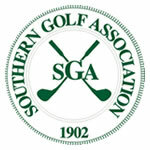 The Southern Amateur, which dates back to 1902, is one of two competitions held by the Southern Golf Association (the other is the Southern Junior). This is a 72-hole stroke play championship with a cut made after 36 holes. Entries are open to any male amateur golfer who has a current USGA Handicap Index® not exceeding 3.4 under the USGA Handicap System. Non-exempt players must pre-qualify at one of the qualifying sites held across the southern U.S. in the two months leading up to the championship.